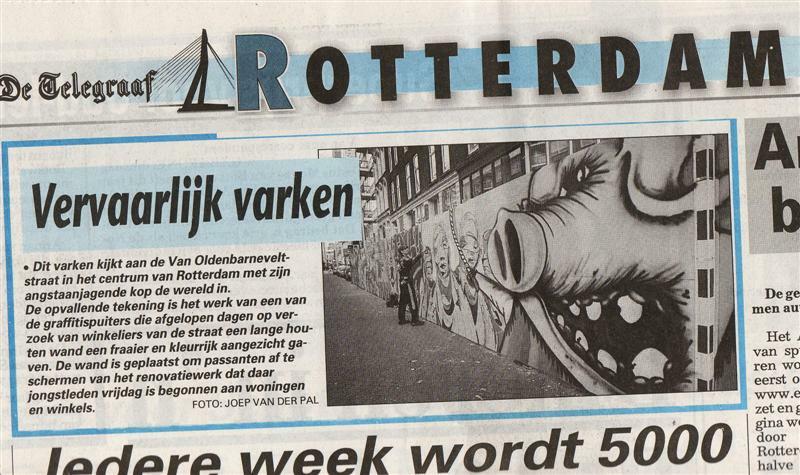 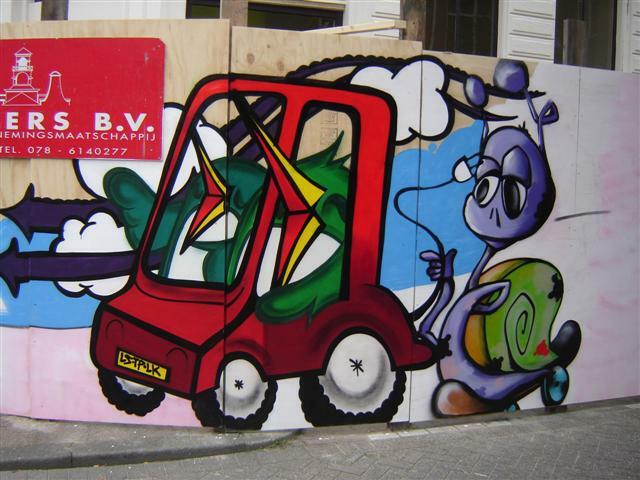 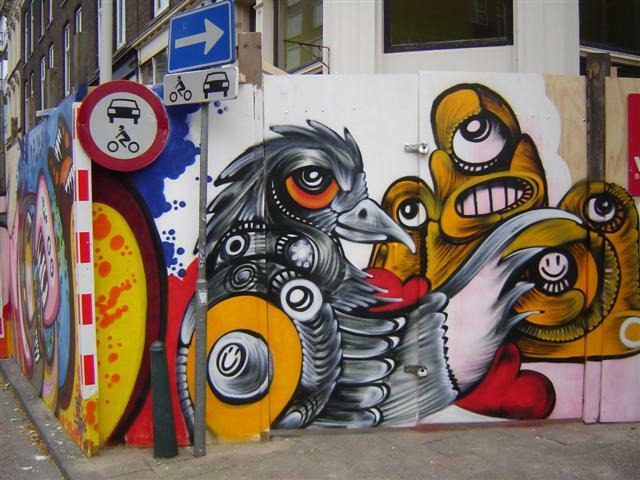 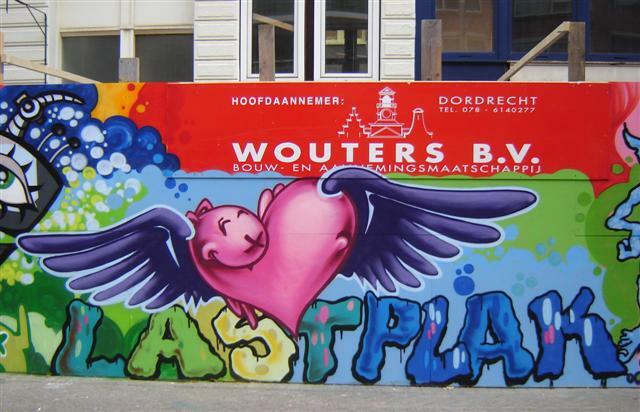 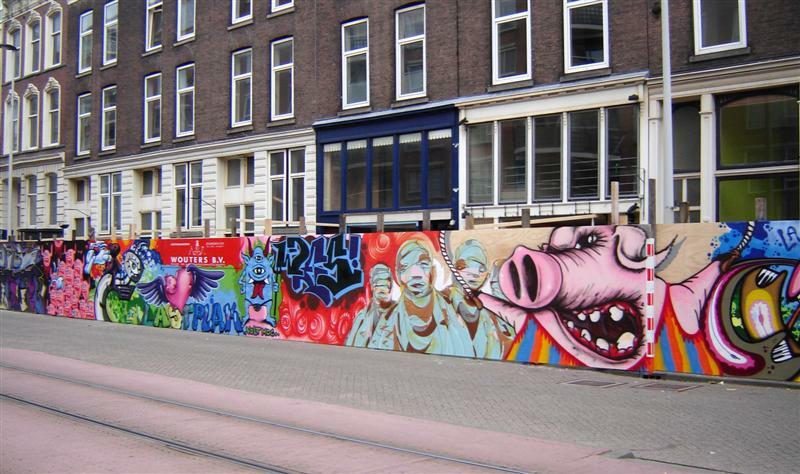 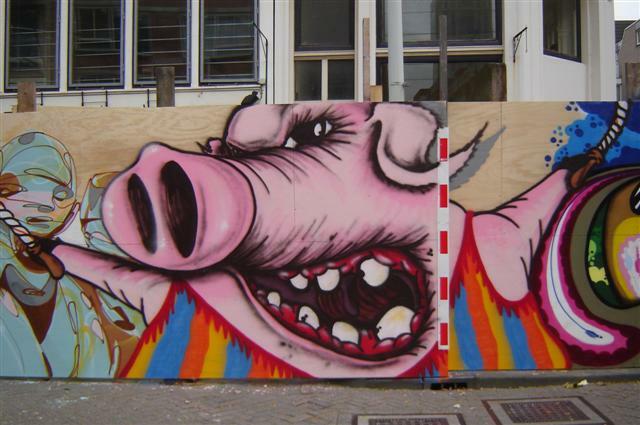 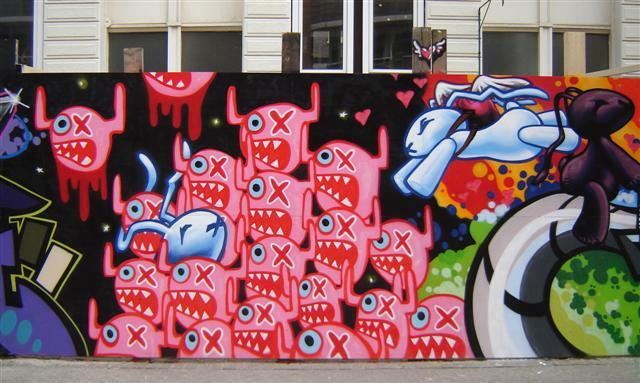 Last weekend we painted a long fence in the Oldenbarneveltstraat in Rotterdam city centre. 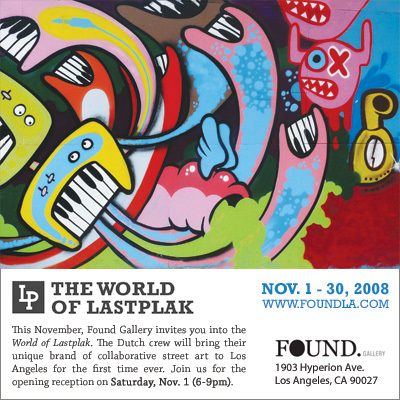 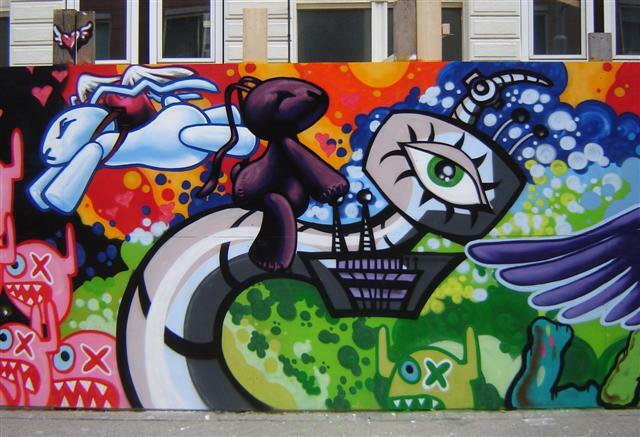 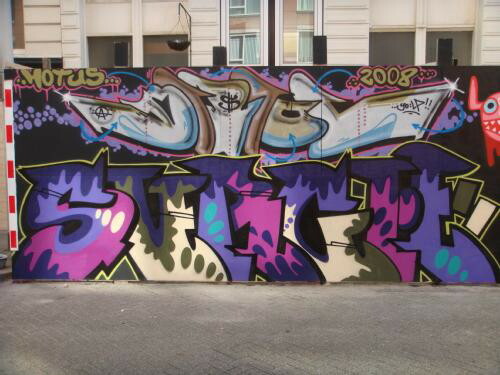 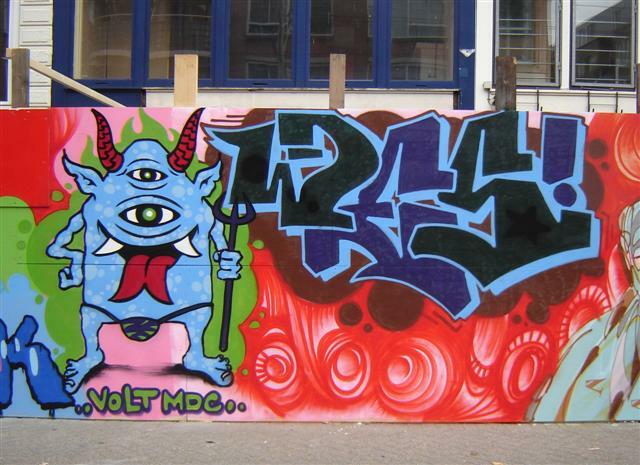 Participating artists were: Grrt, Boortorrie, Ox-Alien, Yen, Sterf, Pinwin, Biriol, Surch, Volt, Wes, Thor & Z. 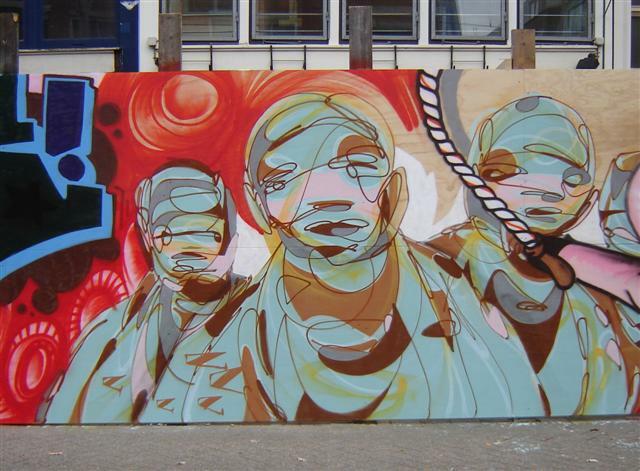 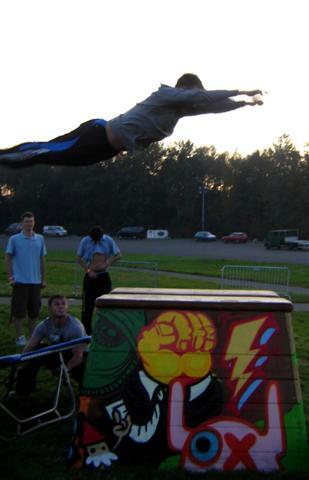 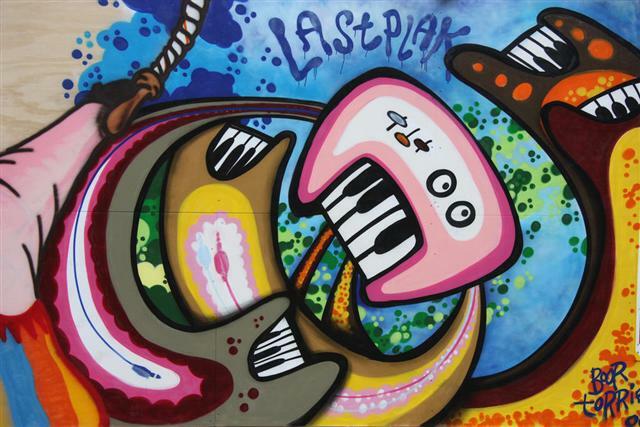 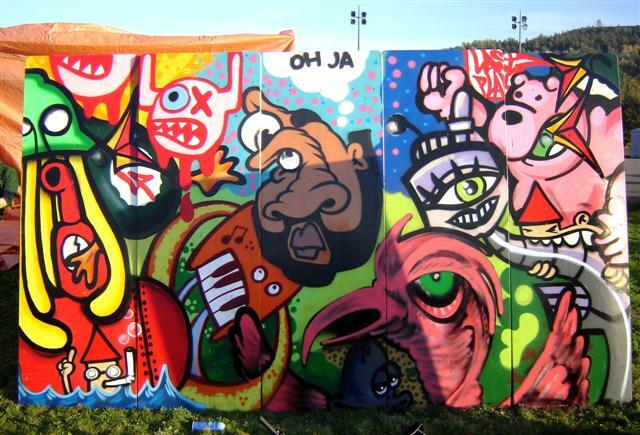 Last sunday we did some "Live painting" at Breakfest, a festival in Landgraaf (near Belgium). 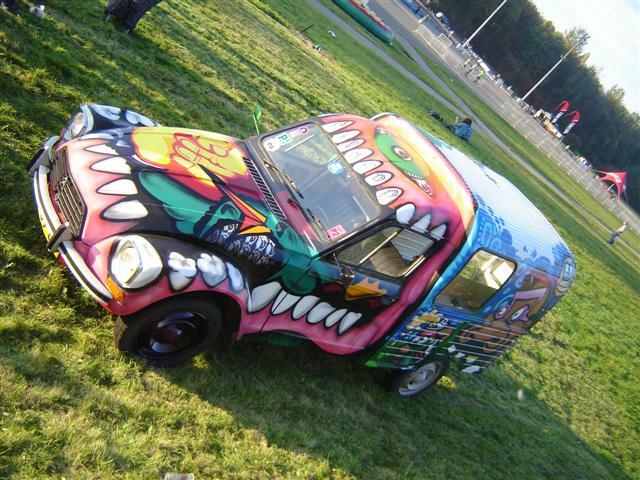 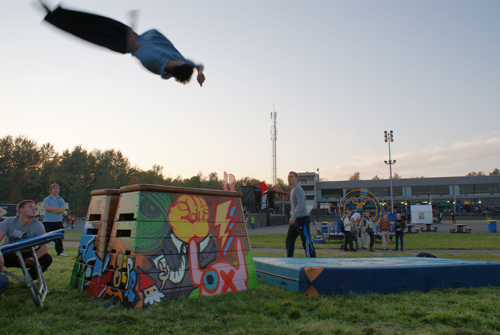 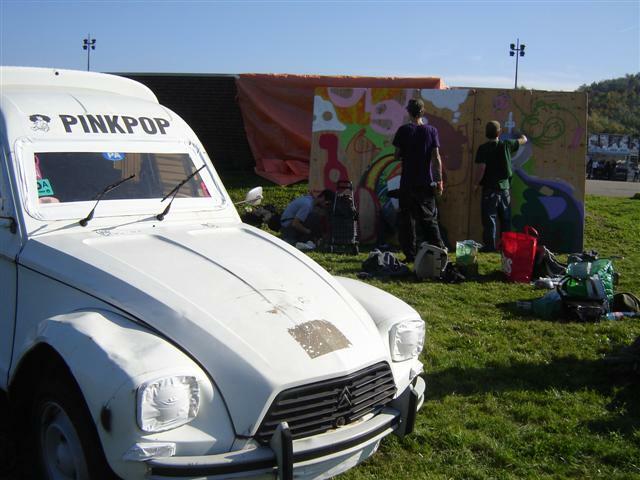 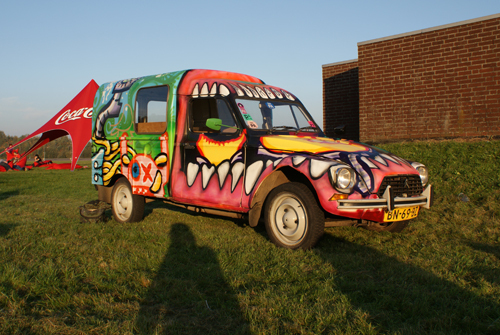 It was a nice and sunny day where we painted 5 tables that made a wall, The Pinkpop car and a "Springbok" for the Jolly Jumpers.